Adrian Clarke looks at tactical battles set to take place in Matchweek 3. Mauricio Pochettino has a big decision to make ahead of Monday night’s trip to Old Trafford. Does the Tottenham Hotspur manager choose the 3-1-4-2 formation he started with in their 3-1 win over Fulham? Or will he revert to the 4-2-3-1 that has worked so well since he moved away from a regular back three in December 2017? What Pochettino saw in the final stages of Matchweek 2 might help him decide. Spurs changed formation in the 63rd minute last weekend after Fulham had equalised to make it 1-1. Pochettino substituted centre-back Davinson Sanchez for midfielder Mousa Dembele as Spurs moved back to a familiar 4-2-3-1. Ten minutes later they made another bold change in bringing on the creative Erik Lamela for Eric Dier. It made them instantly more effective at both ends of the pitch. Spurs found improved control, variety and dynamism, and asserted their authority inside Fulham territory. This was reflected in the match stats. During the last 31 minutes, including stoppage time, Spurs restricted Fulham to just one shot, which went off target. At the other end they increased their own goal threat. Pochettino’s men scored twice and created nine goalscoring opportunities. It was more than double the four chances they had manufactured in the opening two thirds of the match. When you study Spurs' tactical approach during the last 12 months of Premier League football, it is surprising if Pochettino ever moves away from 4-2-3-1. Their full-backs provide great width, while Dele Alli and Christian Eriksen are suited to playing between the lines. The data is revealing, too. They averaged an incredible 2.46 points per match with this formation last season. The only time they lost was to champions Manchester City. Over a full 38-match campaign that average would have earned them 93 points, 16 more than they accrued. In this fixture at Old Trafford last season, Pochettino and Jose Mourinho matched one another up with respective back threes. While Spurs held the upper hand for most of a cagey contest, their attacking play was a little predictable and they ended up losing the match 1-0 to a late Anthony Martial goal from a long ball. 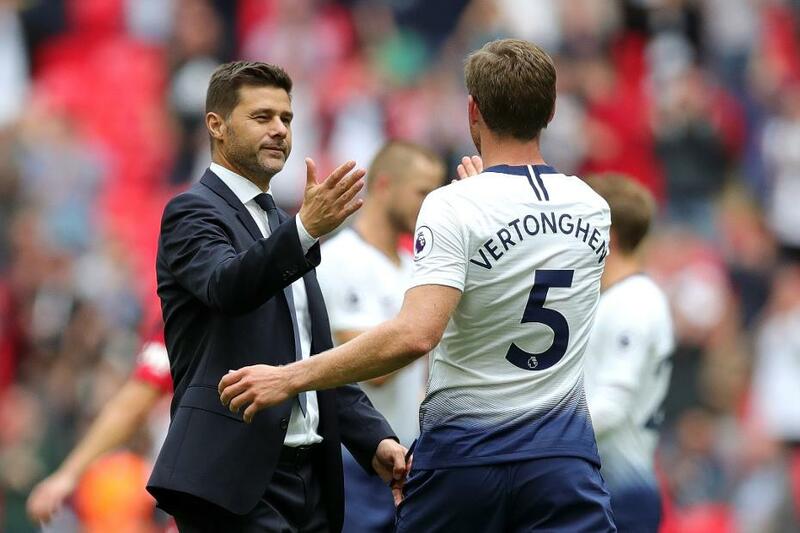 Pochettino will again be thinking of using a three-man defence of Jan Vertonghen, Sanchez and Toby Alderweireld. Recent history tells us that 4-2-3-1 is his most productive system. It is a set-up that could give them their best chance of becoming the first team from London to win at Man Utd since they themselves did so, all the way back on New Year’s Day 2014.